The Houston Cottage is a charming,comfortable,marine themed beach cottage with superb views of sandy beaches and the Inner Bay of Islands. Enjoy open plan living with spacious decks, adequate grassed area for play or parking. The relax living area with beach views, this collectic beach house adds a unique feeling of complete relaxation and rejuvenation which will give you fond memories of the Bay of islands making you want to return. 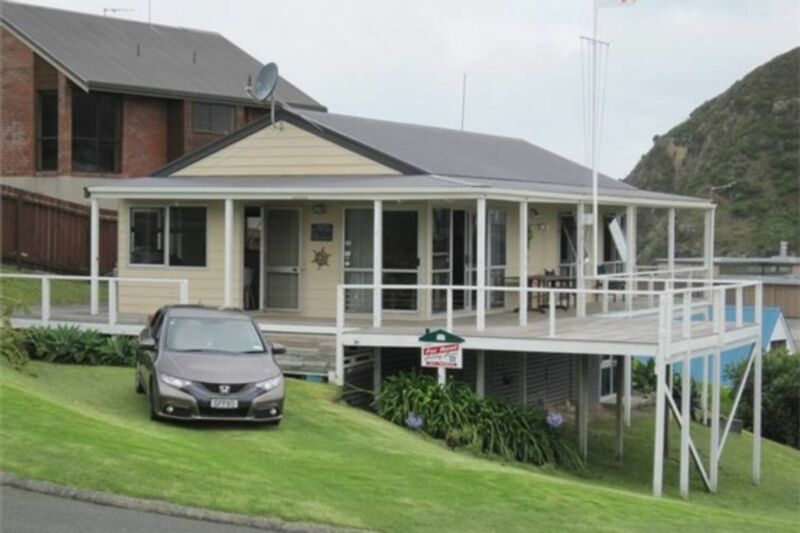 3 minutes walk to beach and boat ramp facilities. Cottage suitable for families and couples. Linen only provided by Negotiation. A very near and tidy home that we enjoyed staying in for our short holiday. The owners communication was brilliant and I always felt that if I ever needed to contact him for any reason he would always be there to help out where he could. What’s also worth mentioning is the lovely community at Tapeka Pt. Everyone knows everyone out there and the lovely people there added to what was already a lovely holiday. Thanks Brian, if ever we require a place to stay in Tapeka Pt again, we’ll be sure to contact you. The property was perfect as a family bach. The property was perfect as a family bach. Everything we needed was on site and in great condition. Lovely views to two beaches, perfect quiet no exit street. Warm house with lots of pillows and blankets should you need them. Dolphins swimming off the beach, great fun from a kayak or from the shore, five minute drive to the shops and restaurants of Russell. We will be back. This is a great batch very clean with everything you need. This is a great batch very clean with everything you need. Tapeka point was an awesome location with a great swimming beach a short walk away. Russell is a short drive or good walk away but if I was to choose I would rather stay at Tapeka point than Russell because it is quieter and has a great swimming beach. Cottage is very homely with everything you need. Cottage is very homely with everything you need. Lovely views and easy access to 2 beaches.